April 14, 2018 by Shaunette Stokes, Esq. An office action is sent by the United States Patent and Trademark Office (USPTO) when there is an issue with your initial trademark application. These “issues” may be small to challenging. The USPTO may either issue a non-final or a final office action. Non-final office actions are typically those “fixable” office actions that can typically be challenged by an experienced attorney. Some attorneys call them “Preliminary Denials.” If you have received an office action on a trademark that you registered yourself, then you have SIX WHOLE MONTHS to get an attorney to fix it! While you have six months, I urge you to seek counsel sooner rather than later. If you fail to respond to the office action, the USPTO will then consider your application as abandoned. This means, you will not get your money back and you will not have the rights to your mark. How tragic is that? If you need to know the importance of why protecting your mark is important, check out the post I wrote here. Here are two popular office actions that are issued by the USPTO. Hopefully, this can provide some clarification. 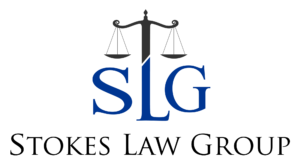 Likelihood of confusion: This office action can be challenged and argued by an experienced attorney. If you receive this office action, the trademark examiner is simply telling you that there is another mark in commerce that has been registered that will likely confuse consumers. 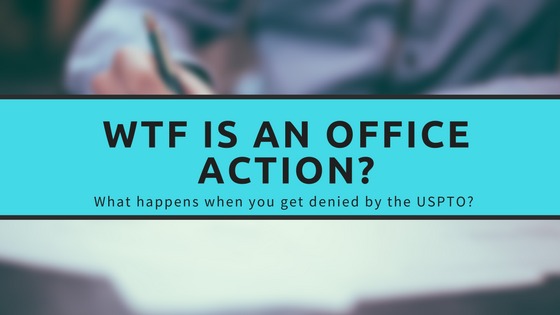 There is a ton of legal jargon and legal memorandum that attorneys use to argue against a likelihood of confusion office action. I caution you, if you failed to get your mark properly researched prior to registering it, then it is likely that the examining attorney is accurate in their findings. As you know, after reading my blog post on the importance of protecting your brand, the purpose of a trademark search is to see if your mark is taken. This is done so that you are not wasting your hard earned money in registering your mark only to find out that someone else is using your name or logo. The worst-case scenario in receiving this office action is that you may have to rebrand. This is the most expensive and least desirable. Refusal of Specimen: I hate to beat a dead horse, but once again an experienced trademark attorney can assist in pushing your trademark application through when you receive a specimen refusal application. Attorneys are trained to understand what specimens are required by law in order for your trademark to be successfully processed through the USPTO. A specimen is your evidence or proof that you are using your mark with either your service or product. The USPTO simply wants to see your mark affixed to the product or associated with your service. There are other office actions issued by the USPTO. This is not an exhaustive list. If you have received an office action after filing your own trademark, do not fret. Our office offers an exclusive office action service for those DIY’ers. Schedule a consultation here. We will either guide you the rest of the way through your trademark process OR we can assist you in rebranding your business. Our office offers branding consulting services as well.